Good bone quality and quantity is required to place dental implants with a high degree of success. In fact, teeth extractions, older age, periodontal disease, and other factors may lead to differing grades of bone resorption. 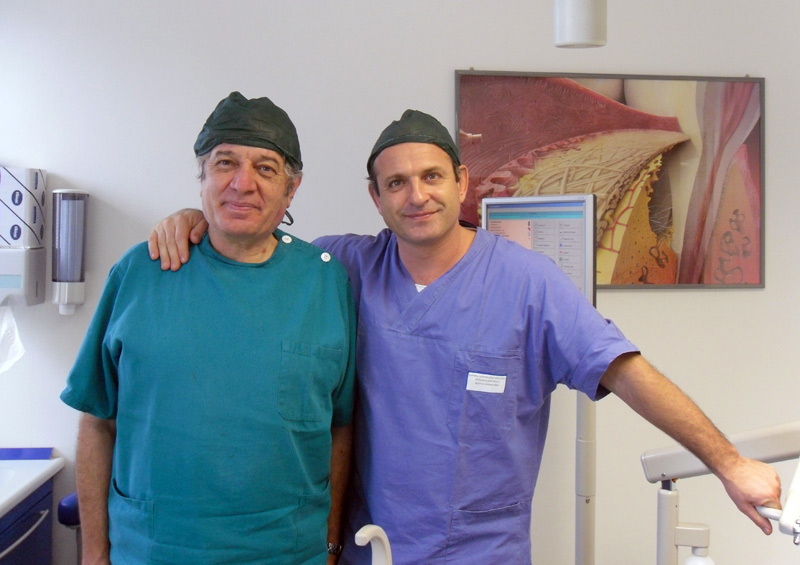 In these cases, it is necessary to restore the ‘ideal’ amount of bone before placing the implants, with the intention that they will remain in place for many years. Numerous bone substitutes have been devised, and several of them help in addressing the situation, but none work as well as the patient’s own bone. 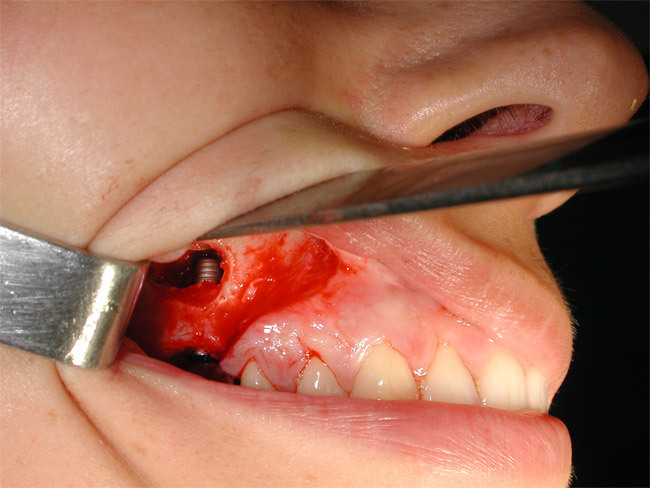 For this reason, peri-prosthetic bone grafting, under local anaesthesia, still represents the gold standard for optimal implant-based prosthetic rehabilitation. 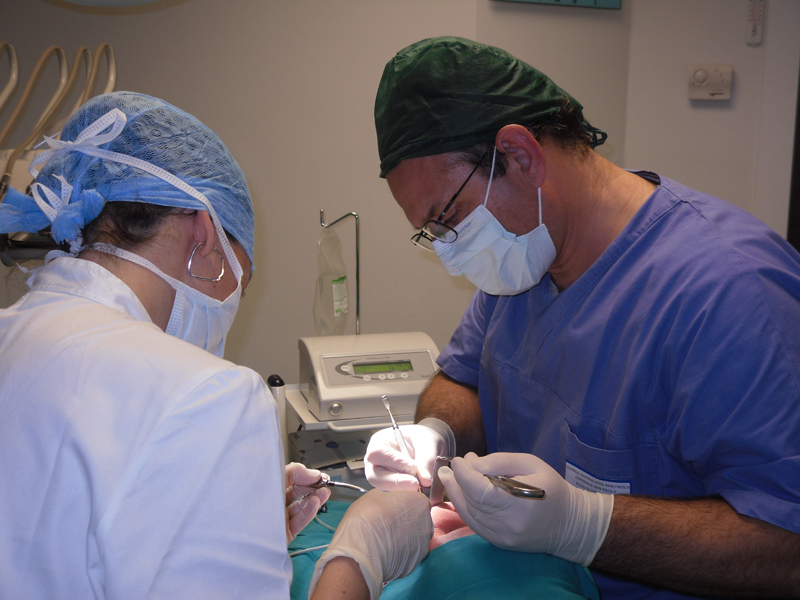 Bone grafting takes place under local anaesthesia in almost 99% of cases. The most common situation occurs contemporaneously with sinus lifting, to optimise premolar and molar maxillary atrophy; this intervention has a very high success rate. More rarely, and typically for more accentuated bone atrophy, it is necessary to perform bone grafting under general anaesthesia using a distant donor site, such as the iliac crest or cranial vault. Sinus lifting, together with bone grafting, is indicated in cases of reduced bone height of the maxillary alveolar ridge. This minor surgical intervention is performed in almost all cases under local anaesthesia and takes a few (not more than 10) minutes. The surgery is painless for the patient. The grafted bone is “scratched” with a specific disposable instrument within the same surgical site as implant positioning, and through the same incision. The grafted bone has the consistency of sawdust at the time of grafting, but develops typical bone hardness after 2-3 months. This ensures stability of the implants over time. The implant (arrow) inserted into the maxilla immediately after sinus lifting. Bone “scratched” in the same surgical site is grafted (arrow) around the implant to ensure subsequent stability. Patient missing upper molars and alveolar bone. A brief outpatient procedure allowed reconstitution of the bone. 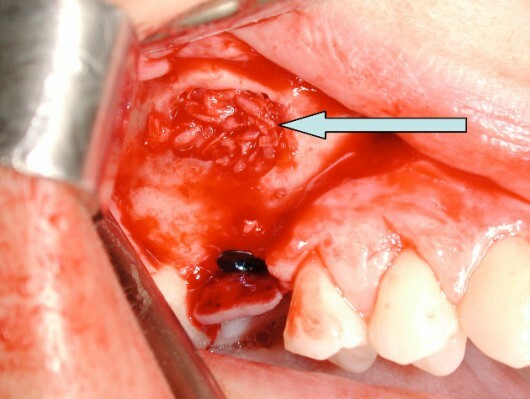 At 2 months after sinus lifting, two dental implants were placed in the grafted bone. Patient missing all teeth (edentulous). In the upper right corner, a bone defect needing reconstruction to place the implants is evident (arrow). Final prosthetic result (surgery performed by Dr. Valerio Bresesti).